6 Say "I love you"
Over recent years, romantic anime has ceased to be interpreted as a niche variation on an original concept and has become a world-renowned genre in its own right. Of course, the more writers that jump on the bandwagon, the more dilute the pool becomes. But take the time to fully appreciate the best examples of romantic anime ever created and it’s impossible not to fall head over heels in love. Here are the 10 best romance anime for you. These 10 romance anime are in no particular order, but each gets good reviews from its fans. Enjoy! Banri Tada has managed to achieve his dream by getting into a private law school, though his life and his future fall into jeopardy when he loses his memory after an accident. When he meets Mitsuo Yanagisawa, the two become instant and inseparable friends as if there is some unseen link put in place by the hands of fate. But if fate really does play a part in their meeting, what is the reason and where will their friendship take them? Ryuuji Takasu is about to start a new school year when he realizes that he’s going to be sharing a class with his best friend, Yuusaku Kitamura and the girl he’s been secretly crushing on for ages, Minori Kushieda. The story is focused on the leading character’s quest to win the heart of the girl he desires while accepting help from and assisting each other. Ever since Kou Ichinomiya was a small boy, he was taught the most important rule in life by his father: never fall into debt with any other individual. 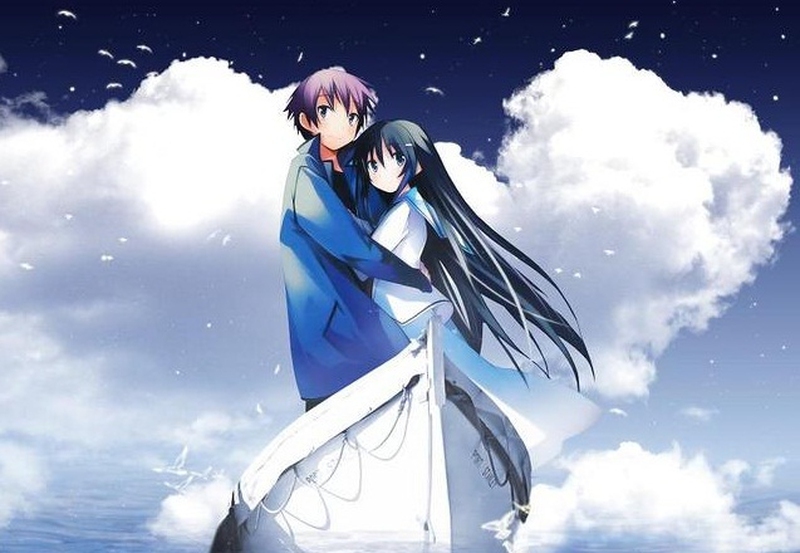 However, when his life is put in danger and a girl named Nino saves him from drowning, he realizes that he isn’t just in her debt, but in fact owes her his life. But when he insists on repaying her, all she wants from him is for him to love her. Ouran Academy is a prestigious school and Haruhi Fujioka has won a full scholarship. When trying to find a quiet corner in which to study, he finds the Ouran Academy Host Club’s third music room in which female clients are entertained by the male students. With her short hair and less feminine demeanor, Haruhi Fujioka is mistaken for a boy and eventually enrolled into their male-only group. Will his real gender be discovered? Mei Tachibana is an unassuming, quiet girl who has deliberately avoided getting a boyfriend or making any real friends at all because of having suffered a traumatic incident in her childhood. However, this all changes when she meets Yamato Kurosawa and her defenses slowly but surely start to break down one at a time, allowing her spirit and emotions to once again roam free. Shakugan No Shana tells the story of an ongoing conflict inside the people of the Crimson Realm. Populated by mysterious and powerful Crimson Denziens, those who stand out as warriors and leaders are quickly made into Lords. Unsurprisingly, their parallel word clashes quite severely with that of the human race, though it quickly becomes clear that the citizens of both worlds are in some ways not as different as they may have assumed. Motoharu Yano is always the center of attention at school which leads Nanami Takahashi to take an immediate dislike to him. Interestingly though, she soon realizes that her hatred is in fact more a case of denial as to her true feelings for him, and she’s head over heels in love with the boy in no time at all. Unfortunately, Motoharu Yano still bears the emotional scars of losing the love of his life in a car crash. Can Nanami break through and warm his frozen heart? Punk singer Nana Osaki plays with a band Black Stones and looks forward to taking the group to fame along with bass player Ren who is also her boyfriend. They have lived together since they have turned16 and are extremely close to each other. However, when Ren gets an offer from another band that is hard to refuse, the couple is forced to decide which matters the most: their relationship, or the chance of a career in music. Gorō Mutsum is a bit of a down-and-outer, having no luck at school, less luck with finding a job and seemingly no hope at all of finding a girlfriend. However, when a fortune teller predicts quite exciting things are ahead for the poor guy and unleashes his guardian angles by enchanting his cell phone, he suddenly finds himself on the way to a considerably more enjoyable and fortunate future than his troubled past.